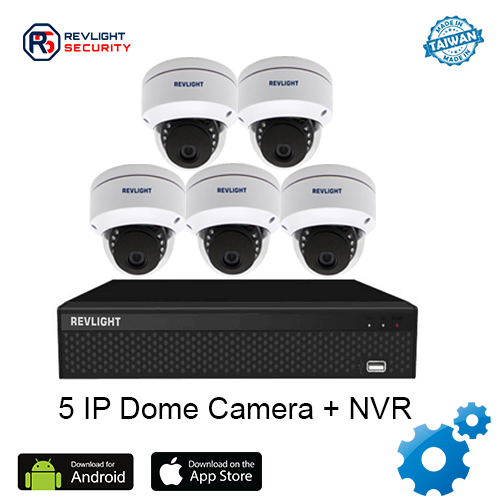 Our 5 Camera NVR Security System Consists of 5 IP camera including one 8 channel nvr system with 3 TB video recording storage, which has 1 year warranty. Security cameras can help prevent fraudulent, liability claims against the business. Installing 5 Camera IP Security System can be seen as an asset by insurance companies, lowering the premiums for you. An 5 Camera IP Security System is a benefit to your business delivering a clear picture through 1080 lines of resolution both indoor and out. Easily installed with the versatile wall or ceiling bracket, you can position an HD CCTV camera it where it gives the most coverage to your home or business. 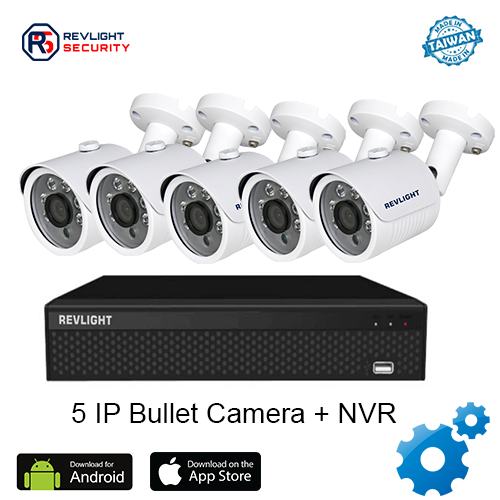 Revlight Security Provides Top of The Line HD CCTV Security Camera Systems With High Quality Resolution. Choosing between wireless security cameras should be easy. If you have any questions from hard drive requirements to helping with installation, call our Revlight Security CCTV Team experts today for a free consultation at +65 6678-6557.